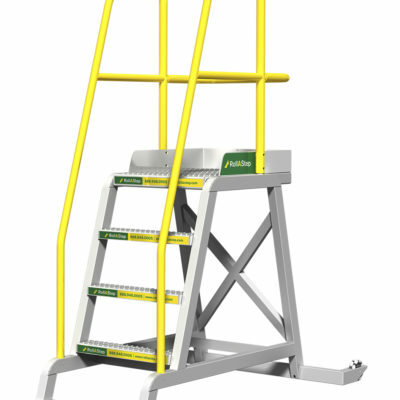 Designed to be fully compliant with OSHA as well as IBC standards and regulations. Ideal for permanent or temporary stairs. 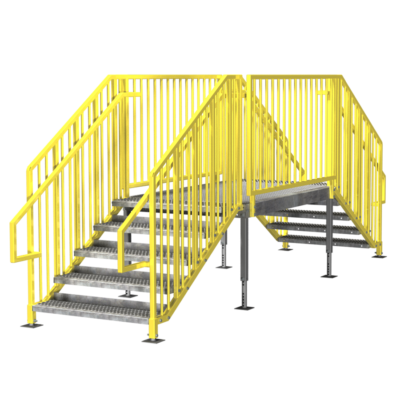 Perfect for job site trailers, modular office buildings, temporary housing and industrial and construction sites. Which is better, powder coating vs. paint or primer? A: Powder coating finishes are much tougher and thicker than traditional liquid paint or primers. And because they use no harsh solvents like paint, there is zero off gassing or foul chemical odors that frequently are associated with traditionally painted finishes. The bottom line, powder coating is tougher, longer lasting and doesn’t smell! Far superior to painted finishes. Can I get my stairs in custom colors? A: Yes. Can I get my stairs customized? A: Yes, let us know your special requirements and we’ll design something just for you! 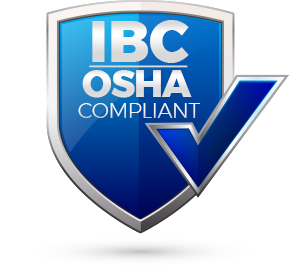 What is the difference between IBC and OSHA requirements? A: The differences between IBC and OSHA regulations are enormous. IBC codes, generally are far more stringent and comprehensive than OSHA. 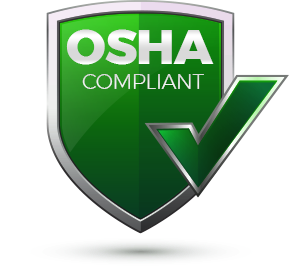 OSHA guidelines are established with the basic understanding that the end user would be primarily a properly trained adult user. Whereas IBC regulations assume that the user may be a small child. Therefore, the construction requirements must be far more stringent and comprehensive. What are some common IBC requirements? A: Common major differences are balusters (or pickets) must be no more than 4″ on center spacing, treads must be no less than 7″ high and 11″ deep and handrails must be no less than 42″ high. 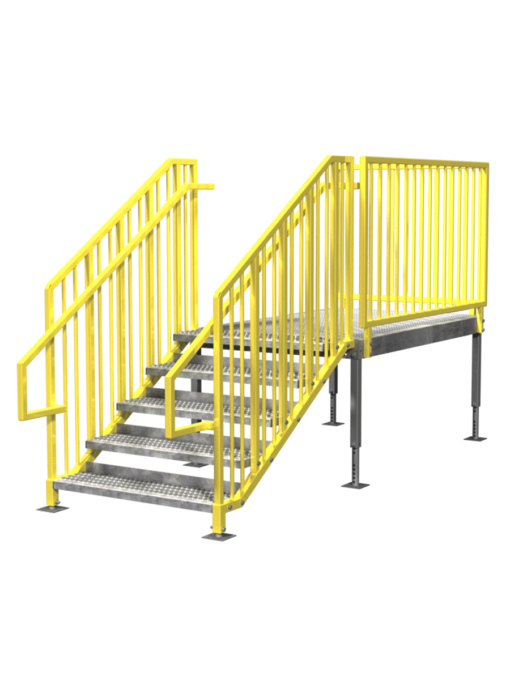 ErectaStep Commercial stairs go far beyond our competitors when it comes to IBC compliance. 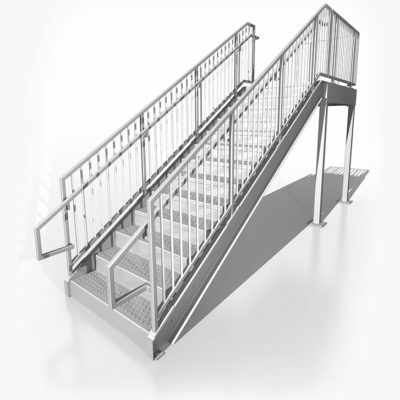 How many prefabricated metal stair manufacturers build to IBC standards? A: None. To our knowledge, none of our competitors build their stock units to comply with IBC regulations.